I’ve had seamless photo paper for a while – I love the clean uncluttered look it provides. But it was a pain to hang since I don’t have a backdrop frame, and I always needed Hubby to help rig it up in our entryway, between the staircase and the sewing studio. 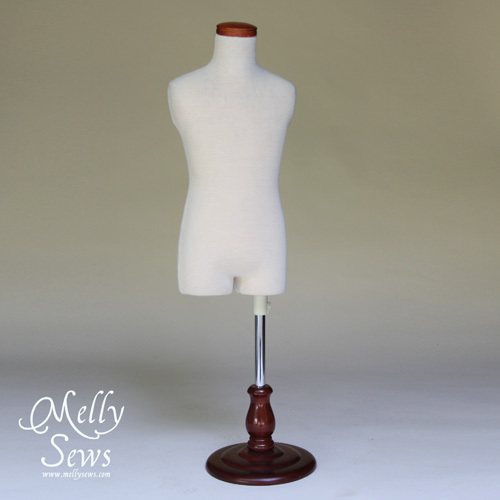 A while back I saw this great tutorial on Sugar Bee Crafts where Mandy tells about how she got around this issue. 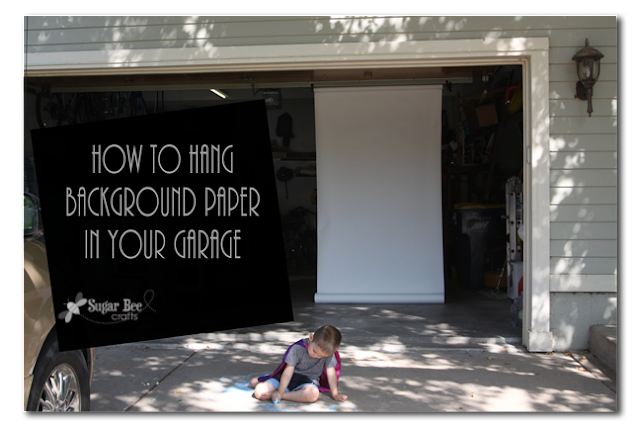 Mandy has her paper hung on the edge of her garage door, between the opener and the track. 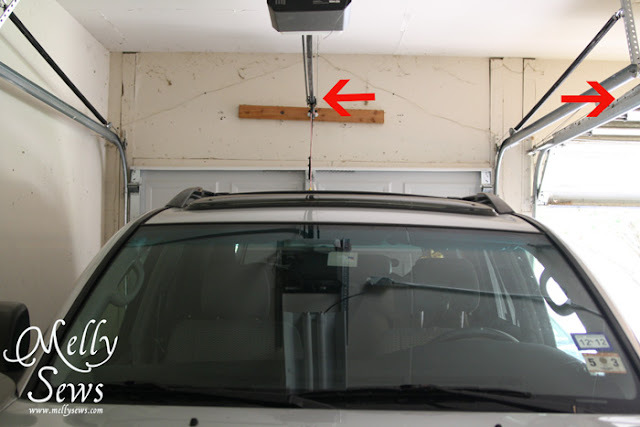 As you can see from the red arrows above, in my garage that width is half of what hers is, so her method wouldn’t work in my garage. Hubby and I scratched our heads. We brainstormed lots of work arounds. And then we realized, since our tracks are closer together, we could just hang the paper on the actual track, behind the opener. 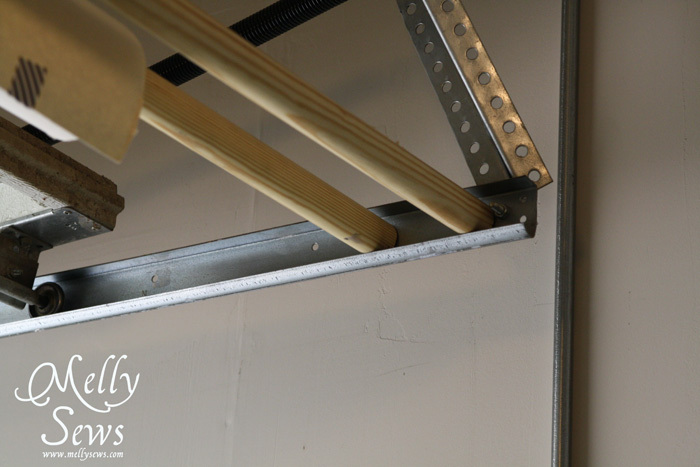 So, with the garage door halfway down, Hubby cut two wood closet rods to size and wiggled them into the garage door track. Then he pulled them all the way to the back of the track, where there was just enough room for the two papers before the arm of the opener hits them. We didn’t even bolt them in, because the bolt on the end of the track stops them from falling off. We did tie twine around the less frequently used paper in the back, so it won’t unroll when I unroll the front paper since they’re so close to each other. And voila, now I can take pictures like this one, all by myself! 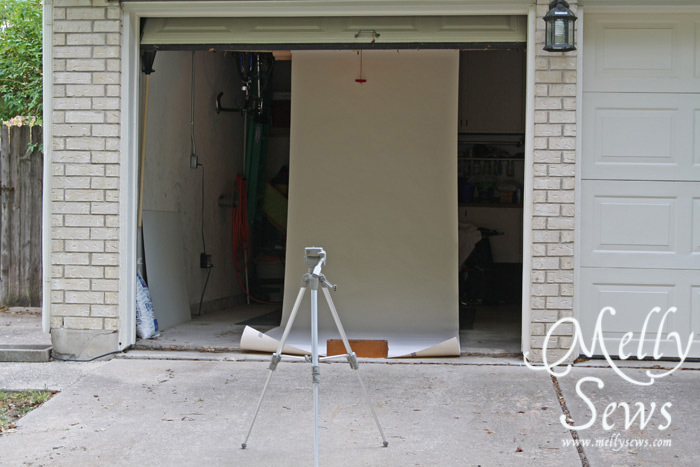 I use the 53″ wide Savage Seamless backdrop paper. The picture above is in the color Bone. There are a lot more colors though, as you can see here (affiliate link). Question: Why do you need two rollers for the paper? I don’t quite get that fact. Thanks for the tute! 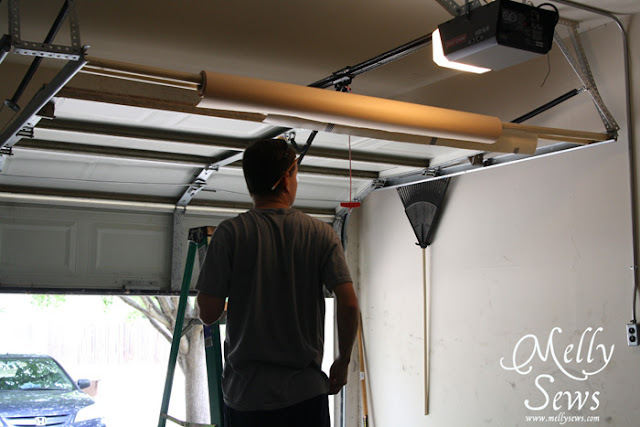 Clever way to hang back drops – no garage here but great idea.